It is no secret that as a real estate agent your best source of business is your database. Your database may include family, friends, acquaintances, past customers, current customers, and leads. 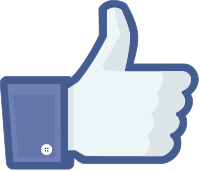 Facebook is a fantastic way to stay engaged with your database in a casual and friendly way. But how do you keep track of the people associated with your real estate business? Did you know that Facebook allows you to create lists to group your friends into different categories? You could create a list for Family, Friends, Closed Customers, etc. You can even add people to multiple lists. Have you noticed that your Facebook feed is not based on when someone posts but rather in an order that Facebook wants you to see? This means that you might miss out on something from a valuable member of your database. By creating lists you can review the posts within a particular category so you can browse with purpose. Facebook is social and casual but it can be used as a business and relationship building tool. And when it is being used as a tool it should be done with purpose, which is why lists are important for you when using Facebook in your real estate business. 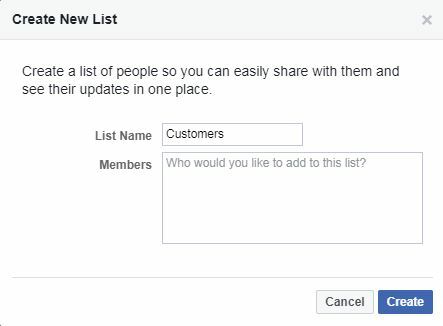 How do you Create Facebook Lists? After clicking on the “Friend Lists” from the sidebar you will be taken to a page that allows you to Create List. Click that button. Next you will name your list. Be specific so you know who is included in the list. This may be “Closed Customers”, “Active Buyers”, “Active Sellers” or any other list you may want to create. After naming your list, you can add friends by entering their name in the Members field. If you want to do this later, click create. This will take you to a new page for your list with the option to “Add Friends to List”. If you click on that button in Facebook, you will be given a list of your friends with their pictures and the ability to search by name. Find the friends you want on your list and add them. With your list set up and friends added, you can now view the posts of only those people in that list. 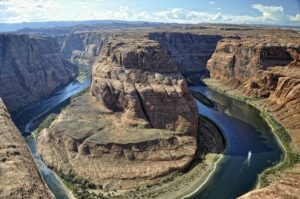 I have found that when you view posts by list that it seems to be in chronological order rather than being prioritized using Facebook’s algorithm. How will you use this tool? I would suggest setting aside 15-20 minutes each day to review this list within Facebook. Review the posts with purpose. With intent to grow your business by deepening your relationships. React (Like, Love, Sad, …) to the posts that grab your attention. Comment on the posts where you have something to say. Share the posts (to your personal feed or business page) when you want others to see. Discover what’s going on so you can reach out with a phone call. Use SendOut Cards or some other method to copy an image and send a thoughtful gift/card in the mail based on their post. Let your creativity run wild. Have fun with it. But do it with purpose. Previous PostReal Estate Agents: Are you on the right TRACK? Real Estate Agents: Do you really need a business plan?